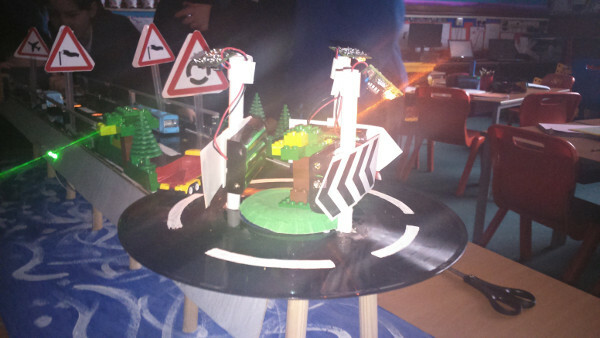 Once again children of all ages enjoyed a Lighting Up workshop at the Rampaging Chariots Scottish Robotic Games hosted by Leonardo. 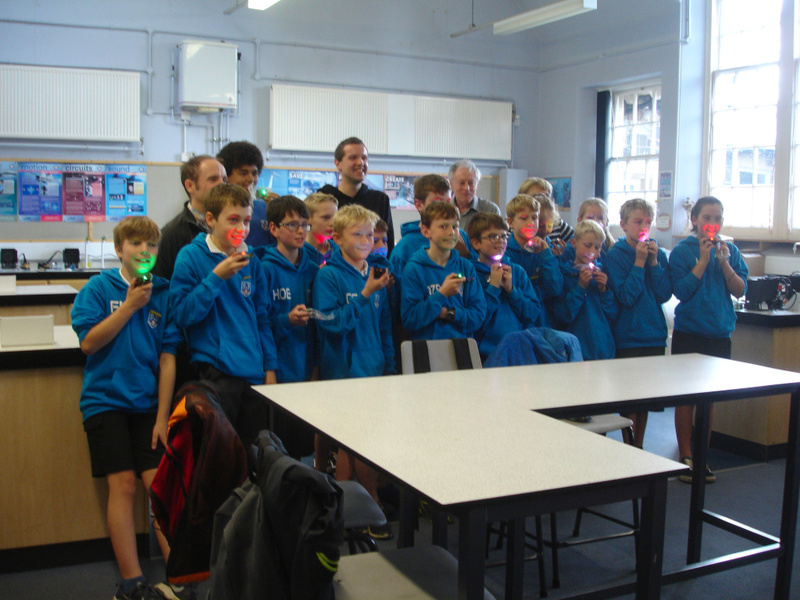 Thanks to generous funding from the Institute of Physics we once again have some free top-up packs available for schools who have previously taken part in the Lighting Up project. Contact Benjie Marwick Johnstone to apply. Hurry while stocks last! 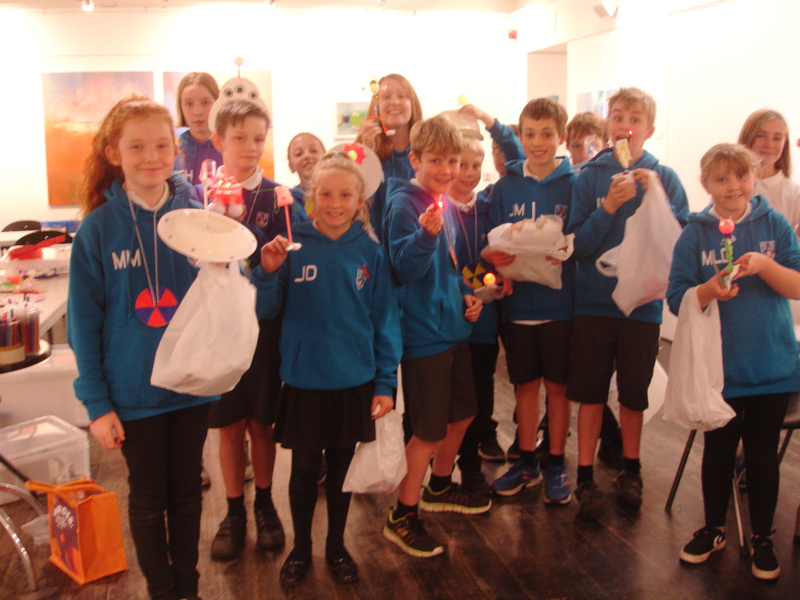 200 pupils from P1 to P7 enjoyed Lighting Up workshops during this year's Science Events at Peebles Eastgate theatre alongside equally tempting Cool Chemistry, Brilliant Biology, Mystery Maths, Fun Physics and Glasgow Science Centre's Body Works. Very special thanks to Prof. Martin Hendry who gave the supporting family lecture on gravitational waves despite receiving the news of the Nobel Prize being awarded that day for their detection. Thanks too to all the presenters, helpers, theatre staff and of course the children and their teachers who make all the effort involved so worthwhile. 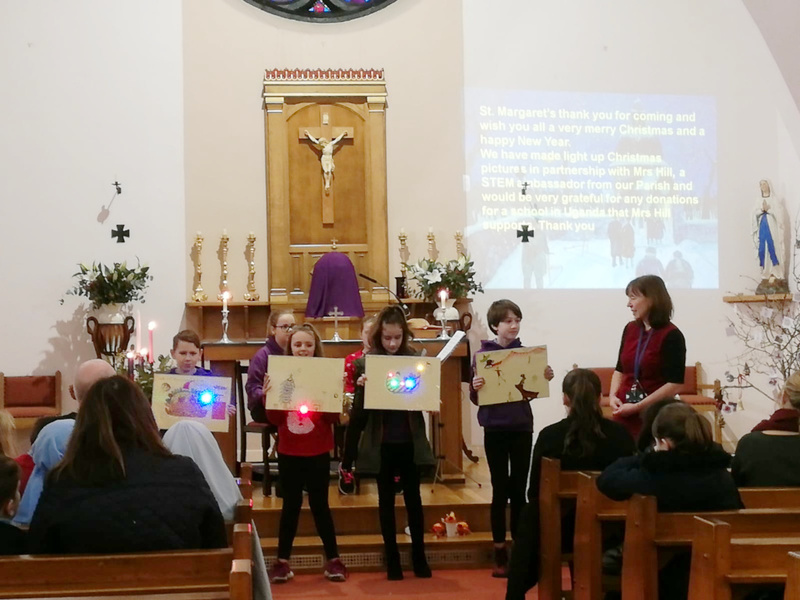 Following a several weeks of investigating local hero James Clerk Maxwell children of the Sacred Heart Primary Penicuik were invited to Penicuik Estate where they walked in the footsteps of JCM and then gave a presentation of the 'Electromagnetic Spectrum' in the new visitor centre. Sir Robert Clerk then invited them to join him and Lady Clerk to hear some very special stories of JCM. The visit ended with a picnic. 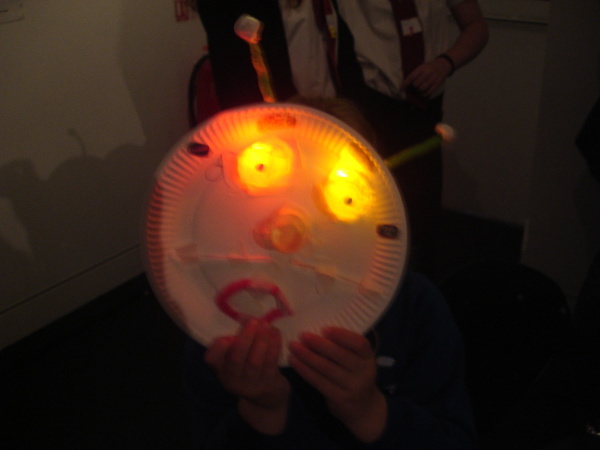 Lighting Up skills were polished up at Peebles High School ahead of the annual primary school hands on workshops at Peebles Eastgate Theatre. 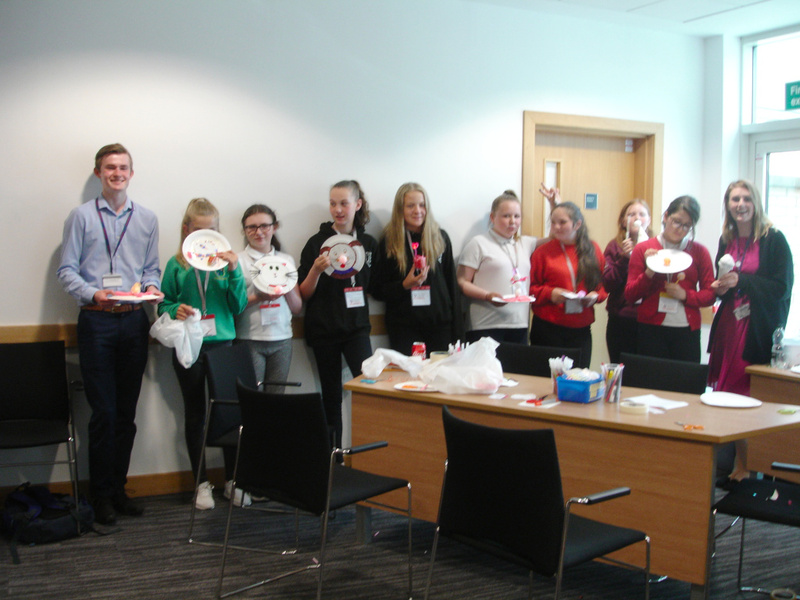 Seventy girls from local primary schools designed awesome light-up drones on International Women in Engineering Day at Leonardo. Instigator Dr. Carole Marsh was amazed by planet protectors, animal rescuers, cosmetic distribution devices and bringers of joy. 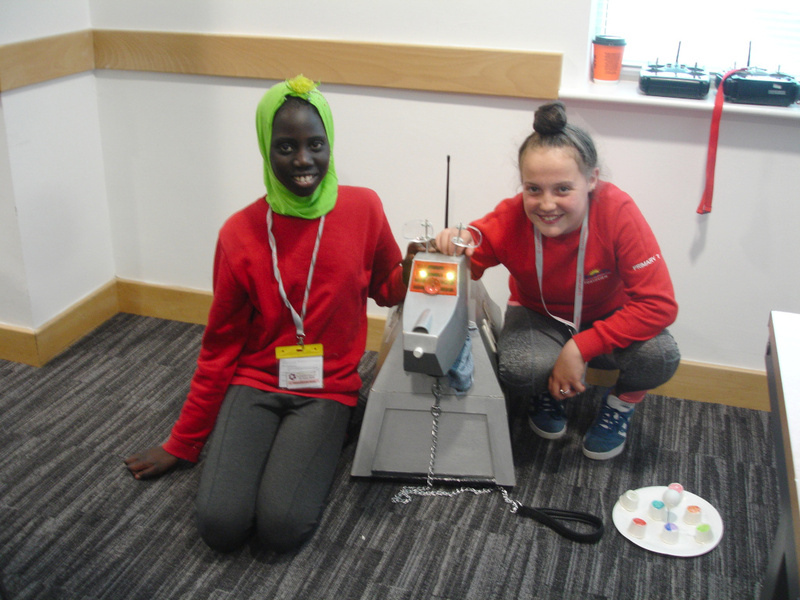 Budding engineers of all ages and from all corners of the Galaxy enjoyed our Lighting Up workshop at the Rampaging Chariot Games day hosted by Leonardo. 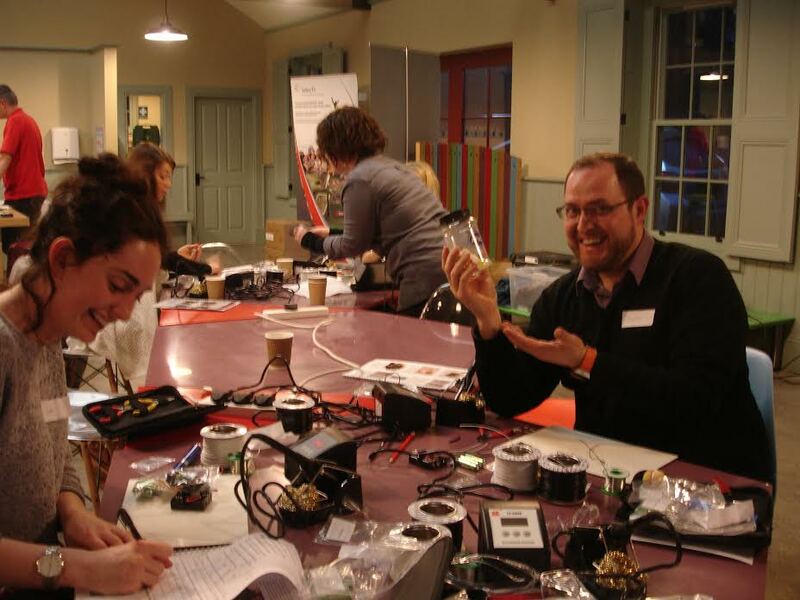 Twelve primary schools from Ayrshire learned to solder at our teacher CPD at Dumfries house and took away starter kits containing a soldering iron and 60 of our flashing light circuits. Three high schools joined the session and took away Rampaging Chariot kits. "This was a great session! It has given me so much confidence to use the kit." 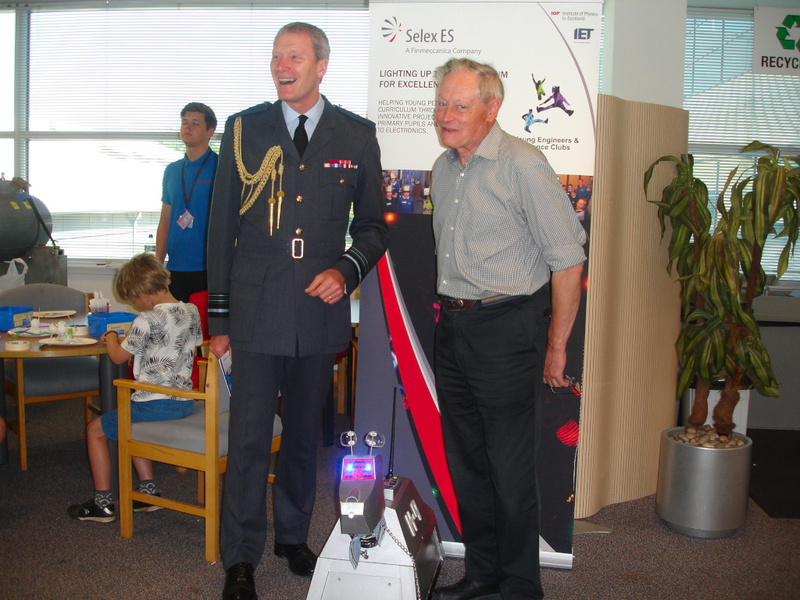 "Excellent CPD. 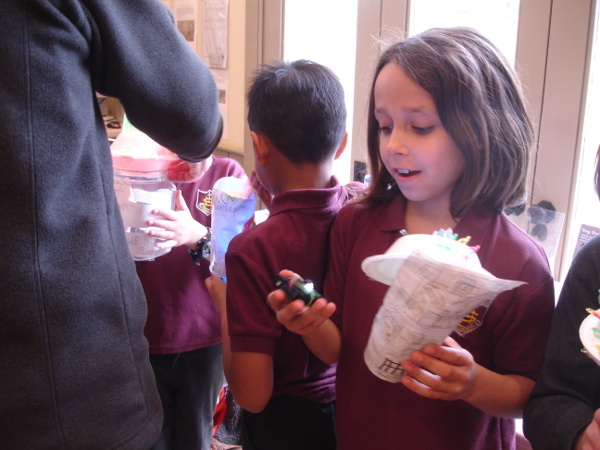 Presenters were enthusiastic and engaging." "Amazing - keep doing exactly what you are doing!" 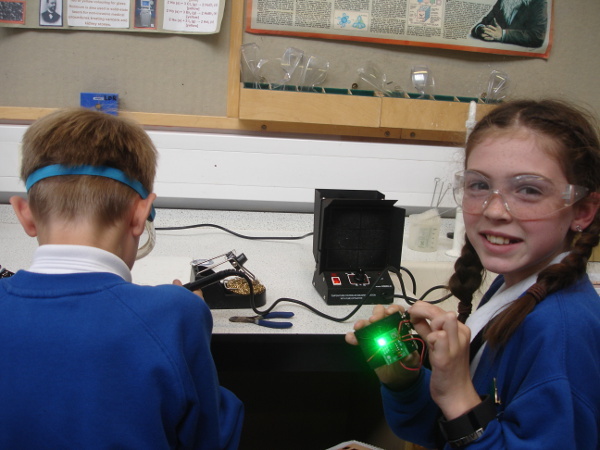 Next Tuesday, seven primary schools from Hillpark, Glasgow will receive Lighting Up Starter Kits and expert soldering tuition at the first Electronics CPD workshop of 2016-2017. 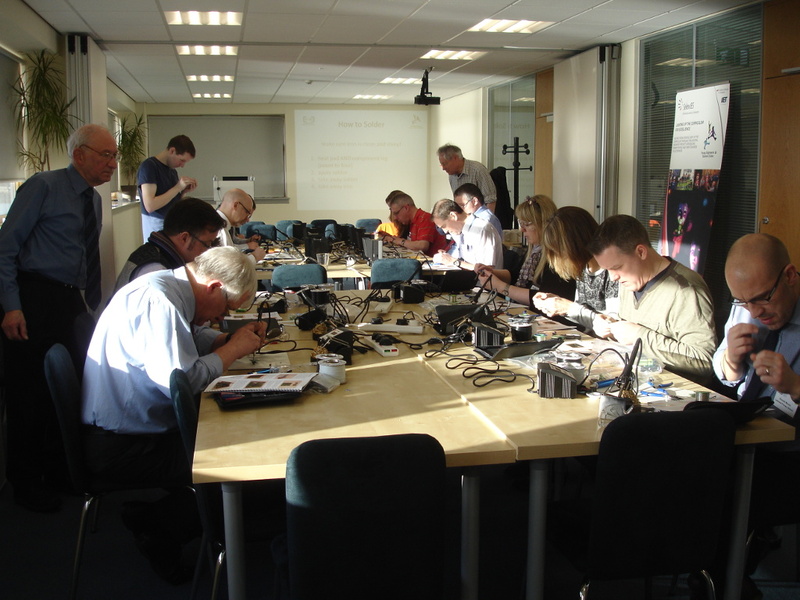 Further workshops are being arranged around Scotland throughout the coming year. 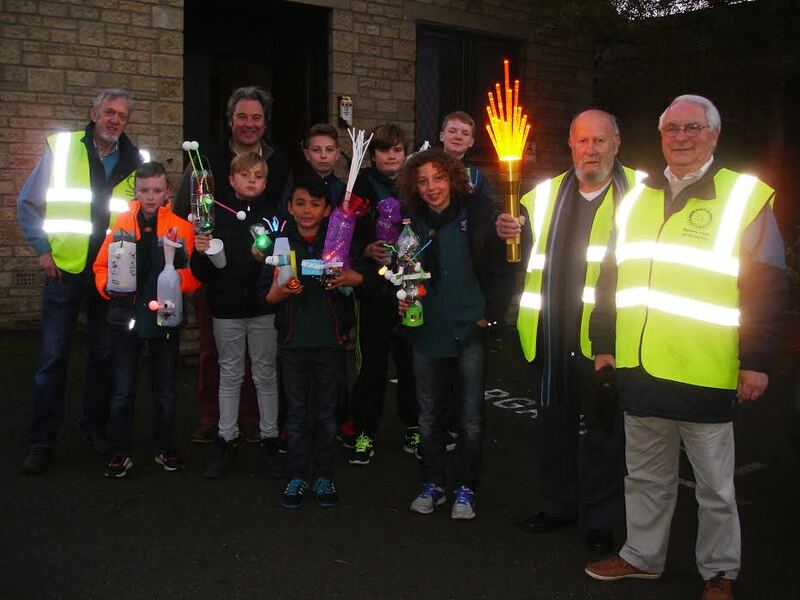 Dalkeith Primary pupils transformed Lighting Up circuits built by their HS pupils into amazing magical lanterns for an evening Parade at the second annual Park in the Dark event. Over 100 visitors joined in to follow 'Miss Teen Midlothian' and her lantern around the Park to the music of the Ceilidh band. 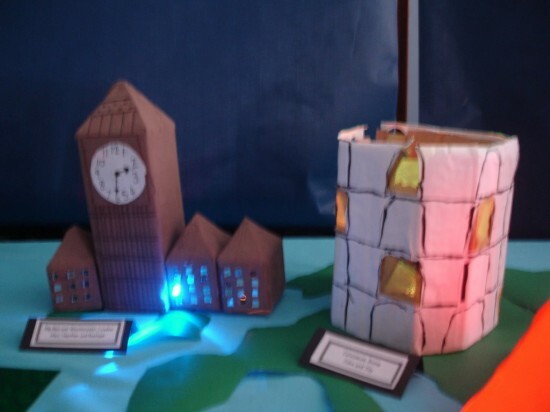 Four lucky winners received prizes for most innovative and decorative lanterns. 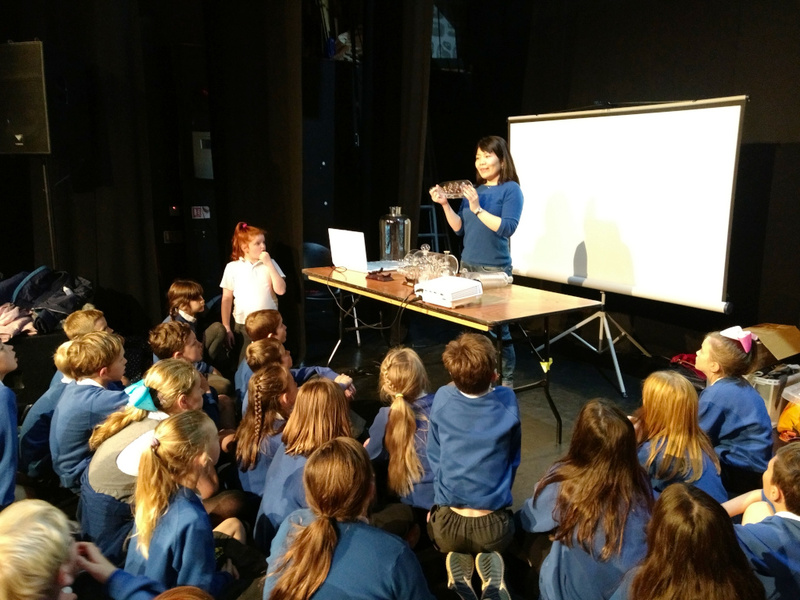 700 primary children enjoyed Fun Physics, Brilliant Bioscence, Cool Chemistry and Mystery Maths along with Lighting Up workshops at the recent annual science event at Peebles Eastgate Theatre. 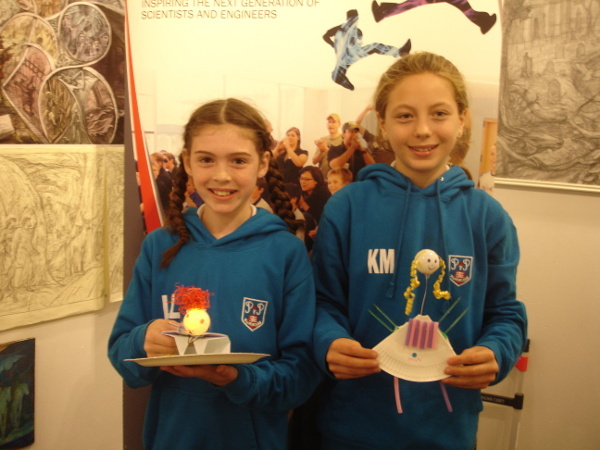 Not to be outdone Peebles High School senior physics pupils built 60 Cloud Chambers and lit them up in one day. A magical evening of Fantastic Light including unbelievable Holoxia Holograms stunned the audience at the Family lecture. Thank you to all the theatre staff, presenters, volunteers and children who made it all possible. 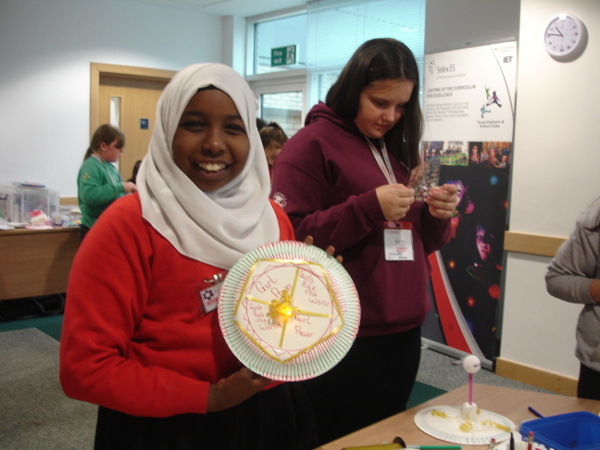 Thanks to generous funding from the Institute of Physics we can offer free top-up packs to schools who have previously taken part in the Lighting Up project. 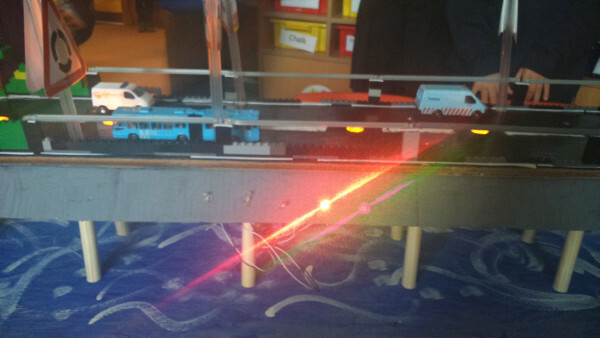 Dornoch Primary School built a fantastic light-up model of their local bridge. They used our Magic Candles for cat's eyes and Five Flashing Lights on the side to guide boats. Tom Gallacher has found our kits very popular with the children at Yorkhill Hospital. 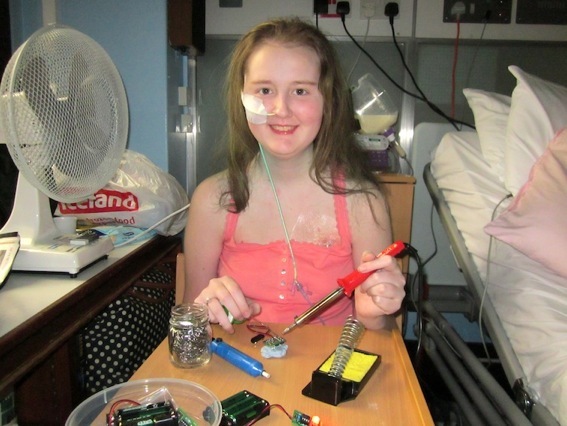 Here is a photo of Phoebe who had never soldered before but took to it like a natural! 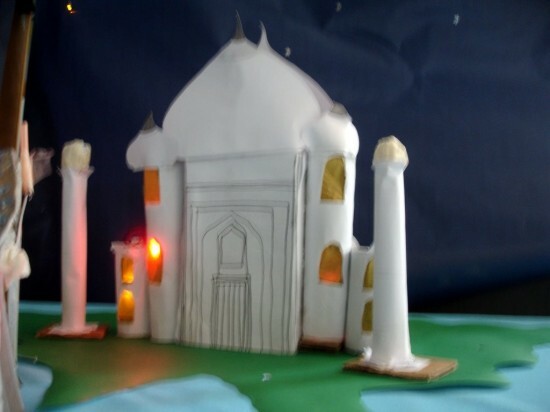 Mauricewood Primary School lit up all the major landmarks of the world using all three types of circuit kit. 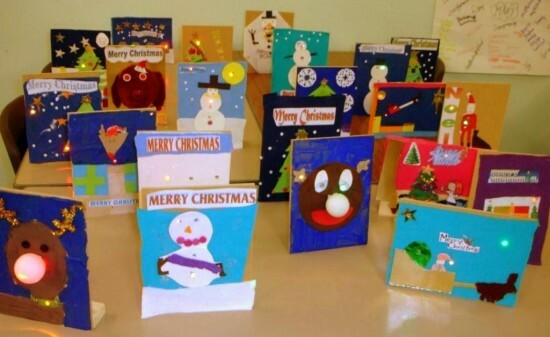 Sacred Heart Primary in Penicuik made this fantastic selection of light-up Christmas Cards using our 5 Flashing Lights circuits. 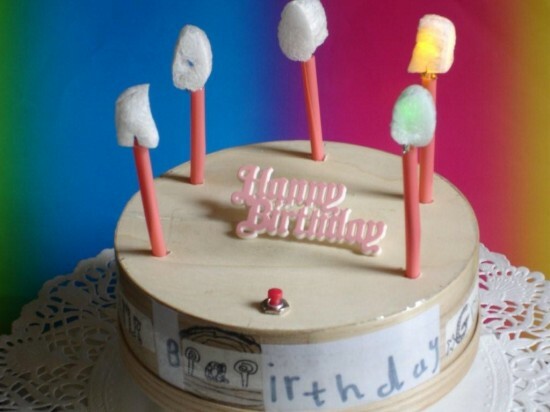 Mark and Alex made this fantastic light-up birthday cake. 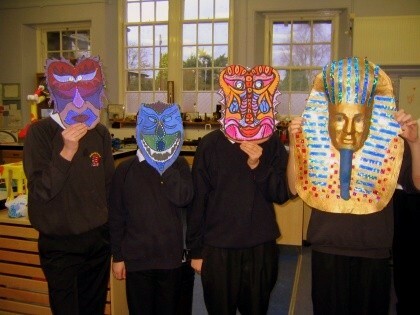 Peebles High School lit up these wonderful masks. 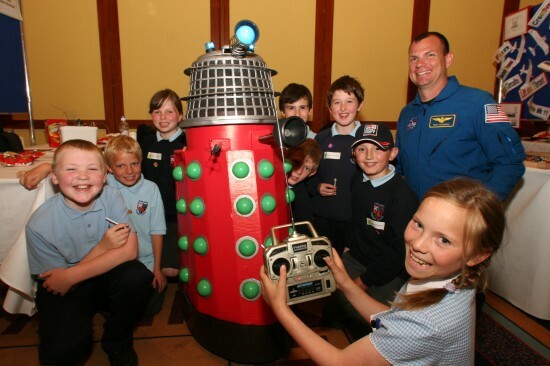 Newlands Primary in the Scottish Borders build a light-up Dalek and used a Rampaging Chariot to make it move! We'd love to feature your creations on our website! Send your photos to Benjie Marwick Johnstone.